Two reports concerning Apple market success are out today giving us some detailed overview of the company's device popularity. The first one is courtesy of Device Atlas and explores website visits from different devices in Q2 2016. As it turns out Apple's iPhone has lost traffic share in 18 out of 20 countries surveyed. The two unaffected markets are Nigeria and Saudi Arabia. According to the report, the 4" iPhone footprint is still massive with over 20% in Canada, France, Japan, UK and USA. This is probably due to the iPhone SE release. 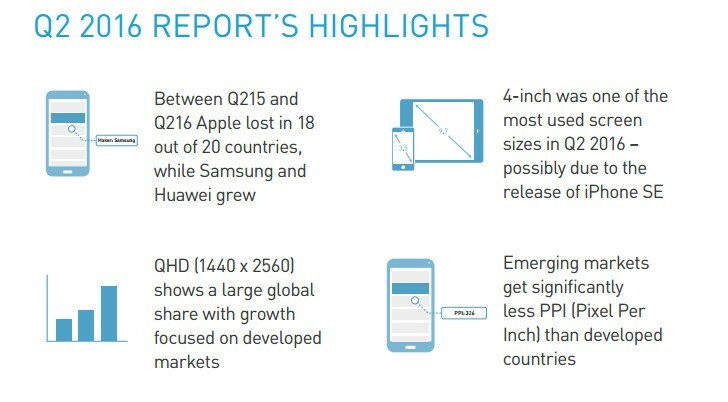 Other interesting details from the study are the rapidly growing share of the Quad HD screens and the noticeable gap in the PPI density in emerging markets vs. developed markets. 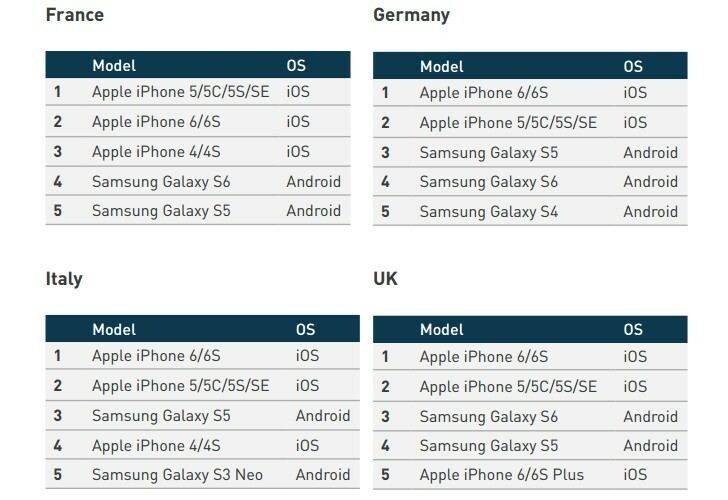 Finally, the report shows the top 5 most popular devices in a plethora of markets, where the iPhone 6s series and the 4" iPhone 5/SE lineup occupy most of the first and runner-up places. Meanwhile TrendForce issued a report exploring the notebook shipments in Q2 this year. Apple is up big time with sales growing 30% over Q1 thanks to the refreshed MacBook. However that didn't suffice and the company is still down 24% for the first half of 2016 compared to H1 2015. Lenovo and HP remain the market leaders in notebook shipments and both are up from Q2 2015 and H1 2015. "...Noticeable gap in the PPI density in emerging markets vs. developed markets." There is no need for any research to discover this. Obvious and logical. The Apple plague is still very strong in Europe.